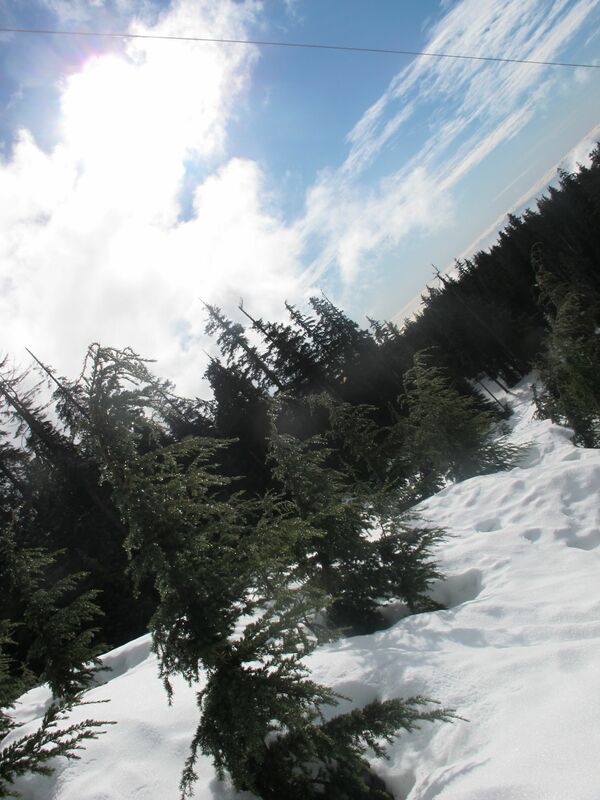 Snow shoes, mountains, and wet feet! 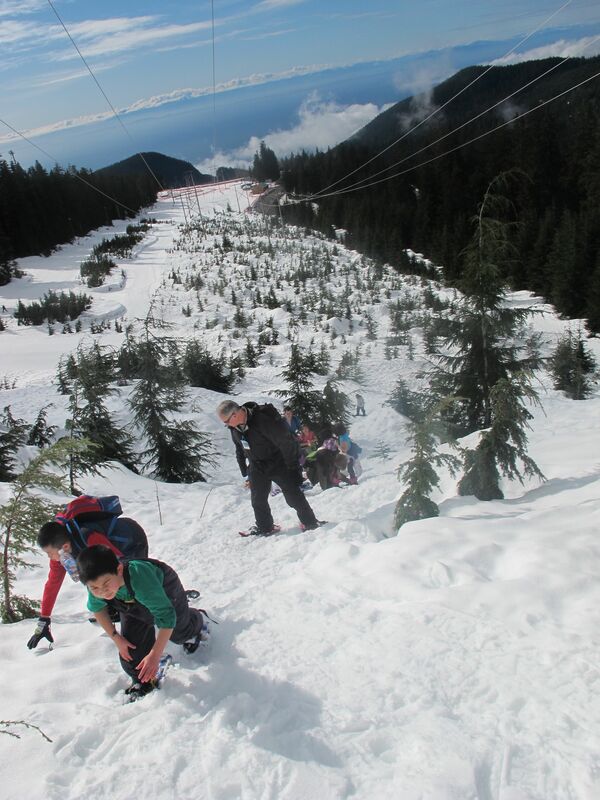 Division 5 got to put on snow shoes and hike up the mountain at Cypress with staff and students from John Oliver’s Take a Hike Program. 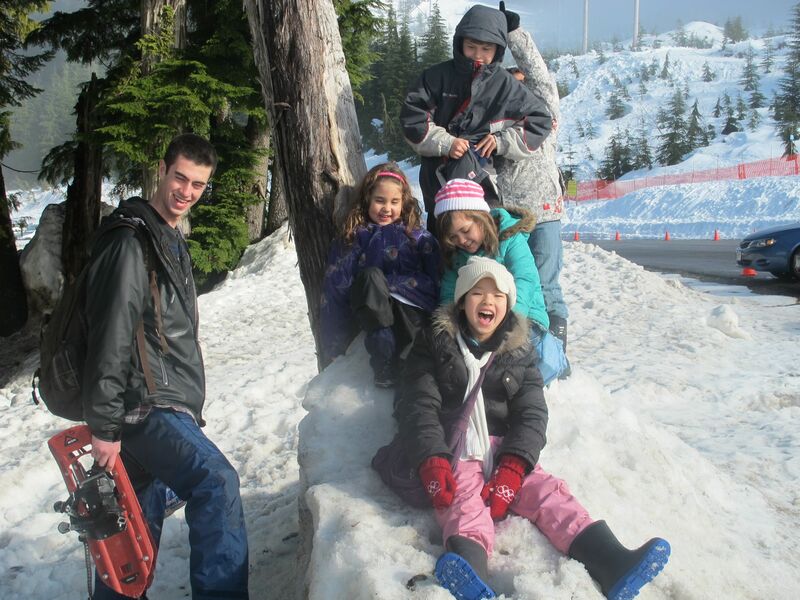 Let’s see how wet we can get before we even put on snowshoes! 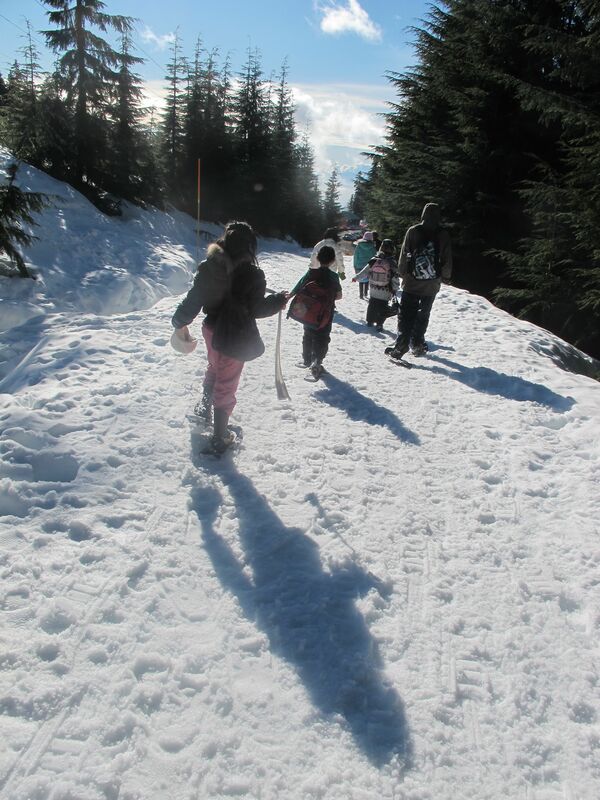 Snow shoes on and up we go! A beautiful way to spend a Monday! 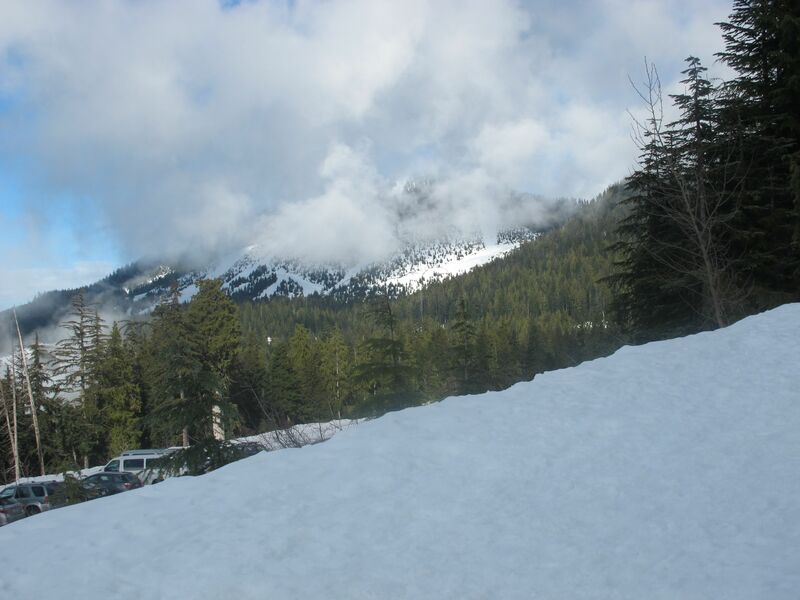 We learned there really is snow on those mountains we often see from school and no, this is not the North Pole! Some other important learning: Each tree is surrounded by a hole. If one of us gets stuck down that hole, someone else might too. Of course we all had to try that theory out! On the climb, it got hot! Layering is key! And thank goodness for juice boxes and water bottles! Best way down? On your bottom! Down to the vans. What a day! 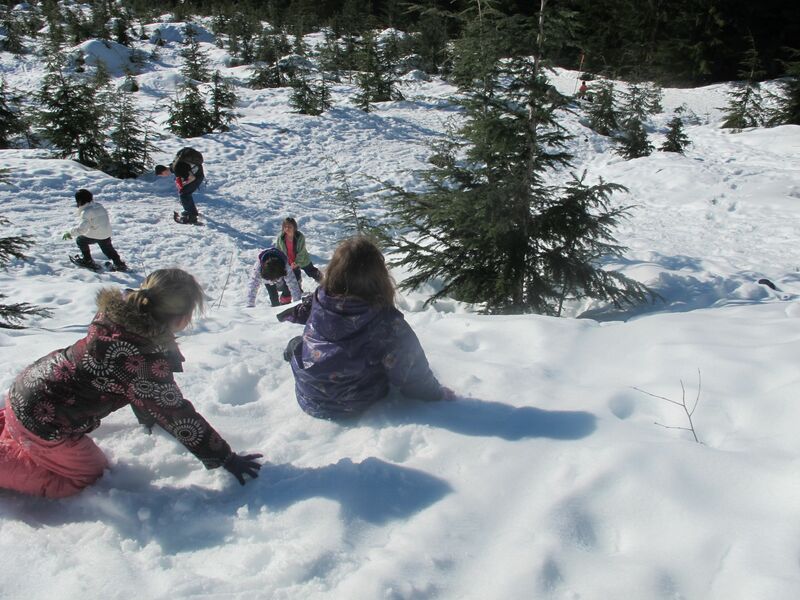 A big thank you to the staff and students from the Take a Hike program who took us on a winter wonderland adventure on a beautiful February day full of sunshine! 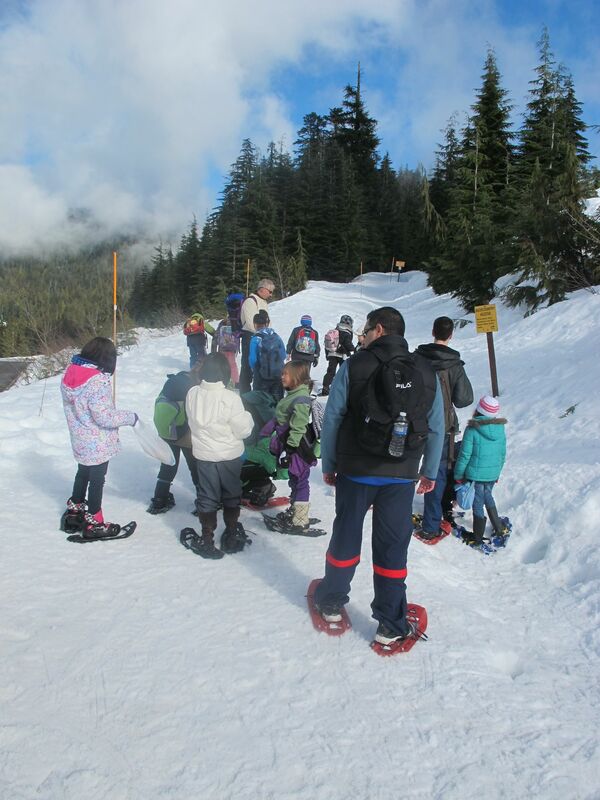 This entry was posted in Special Events and tagged Cypress Mountain, field trips, Take a Hike program by carriegelson. Bookmark the permalink.